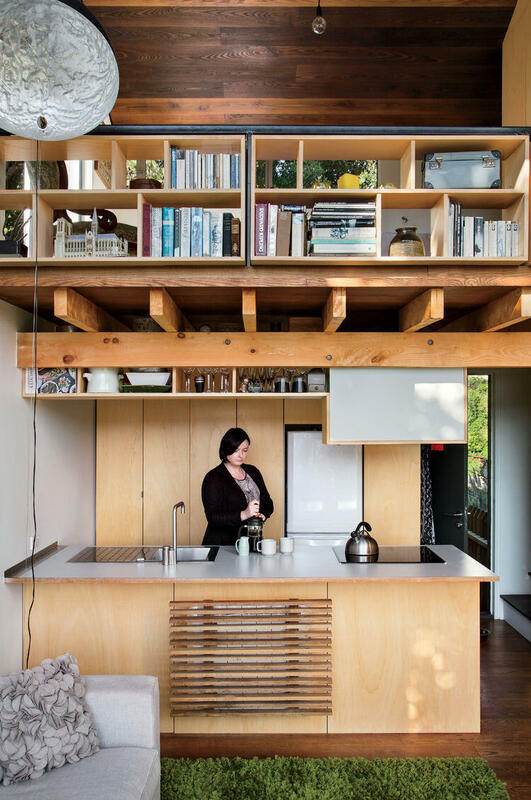 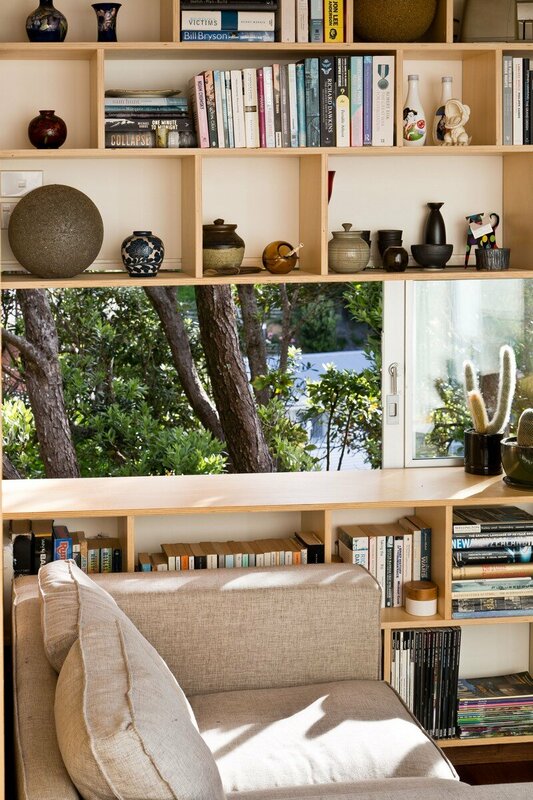 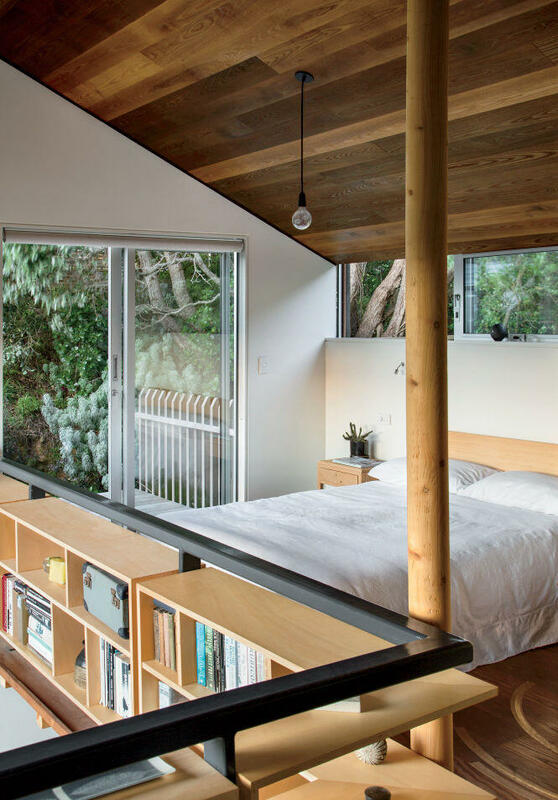 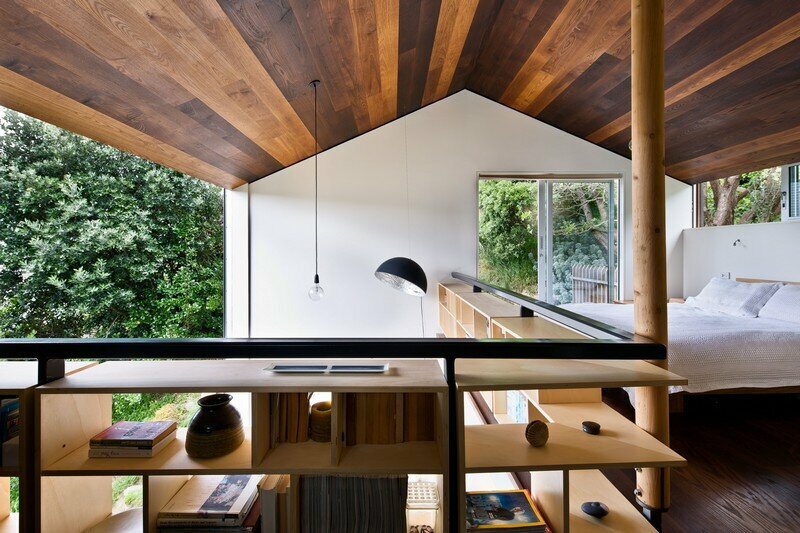 Using space-saving design inspired by Japanese architecture, particularly that of Makoto Masuzawa, Simpson kept the layout of the 538-square-foot space open and bright. 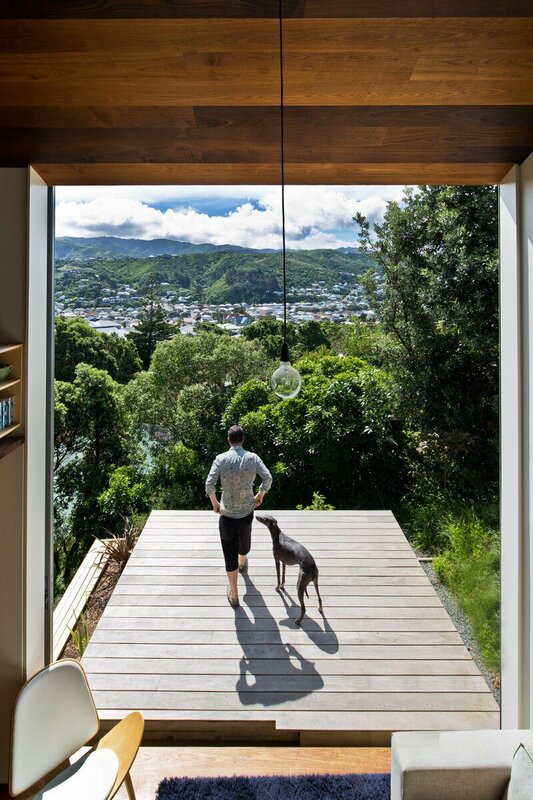 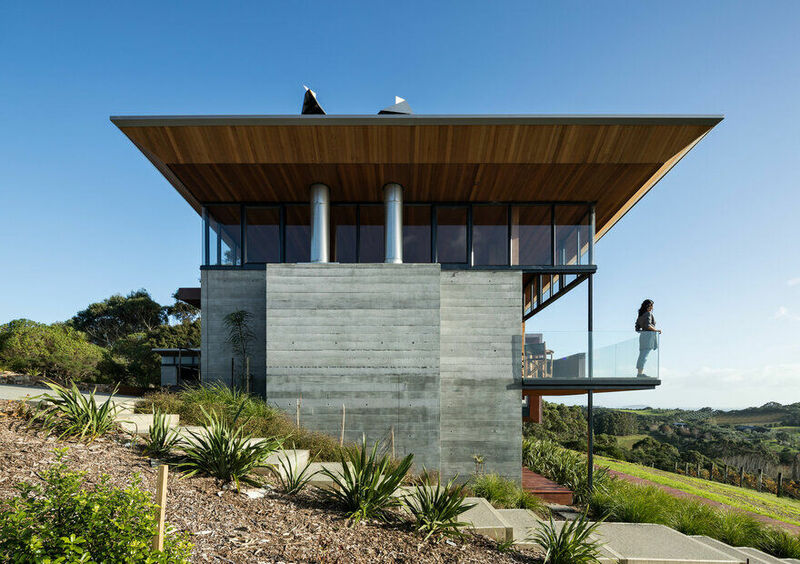 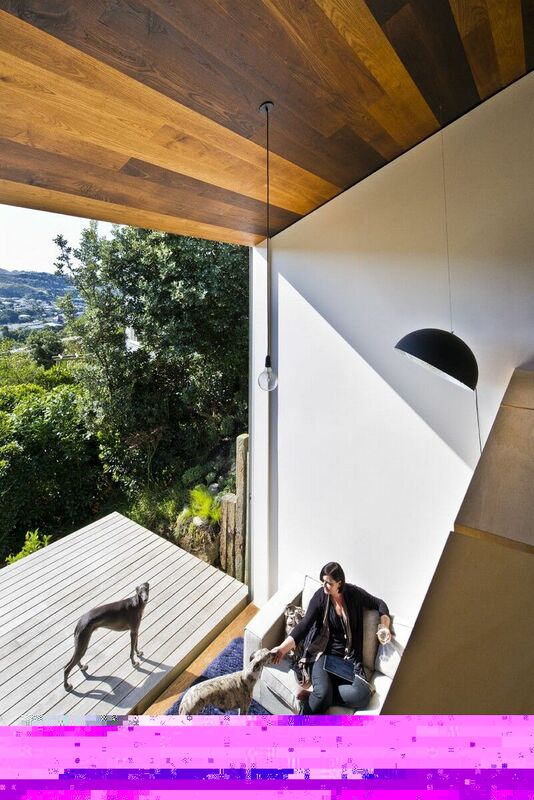 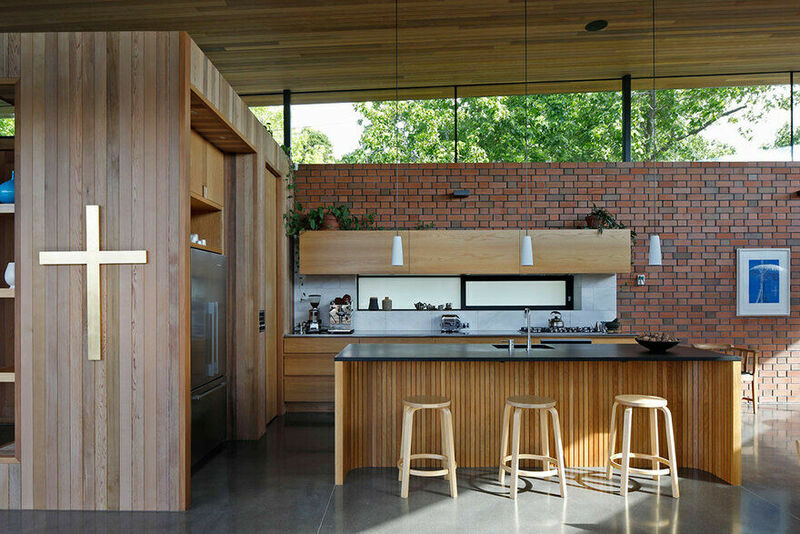 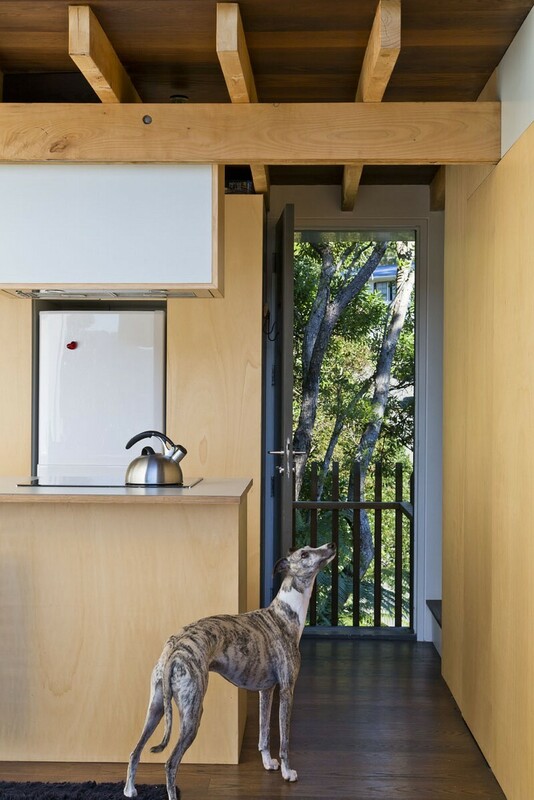 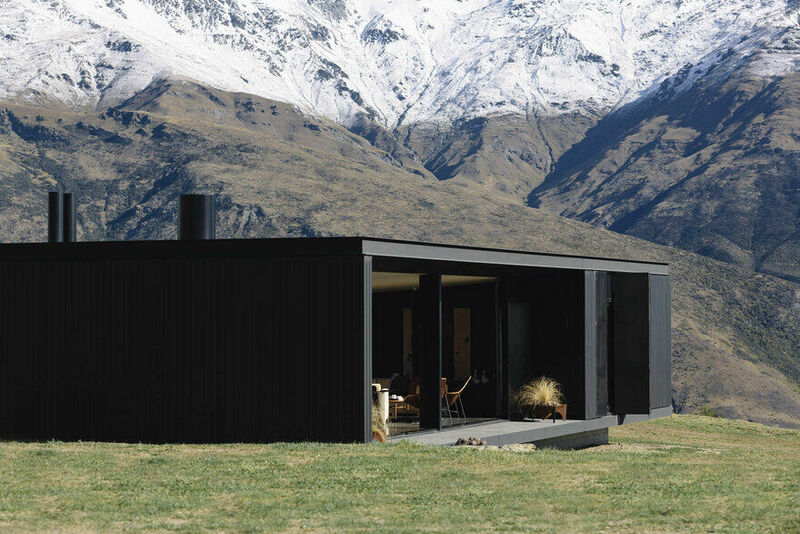 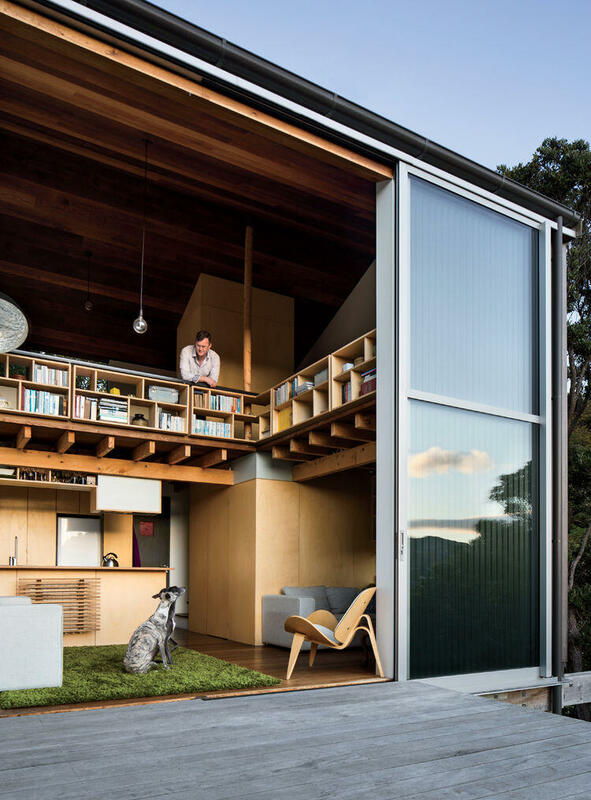 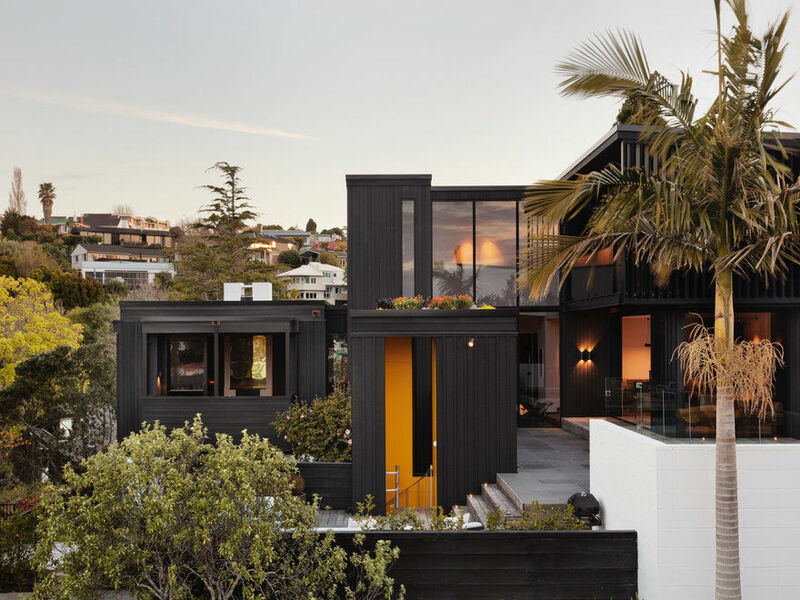 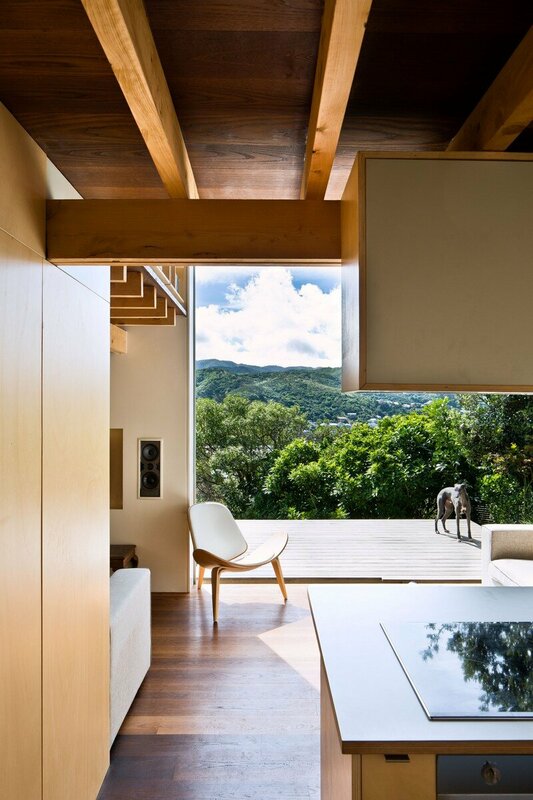 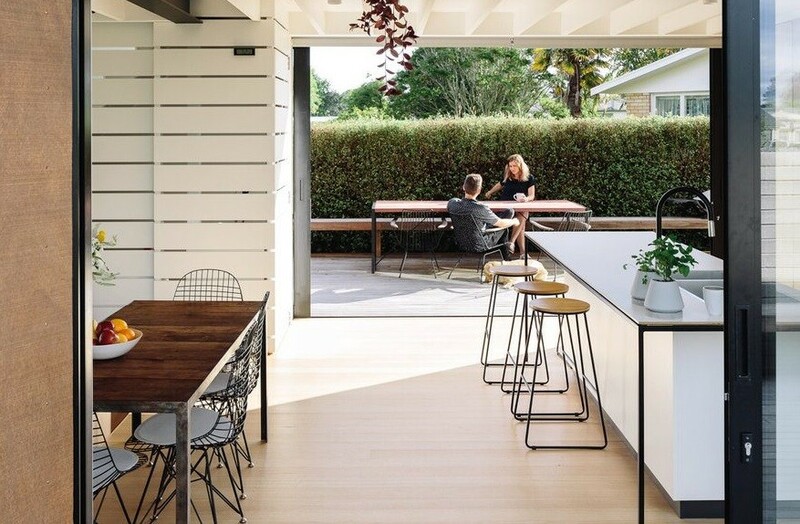 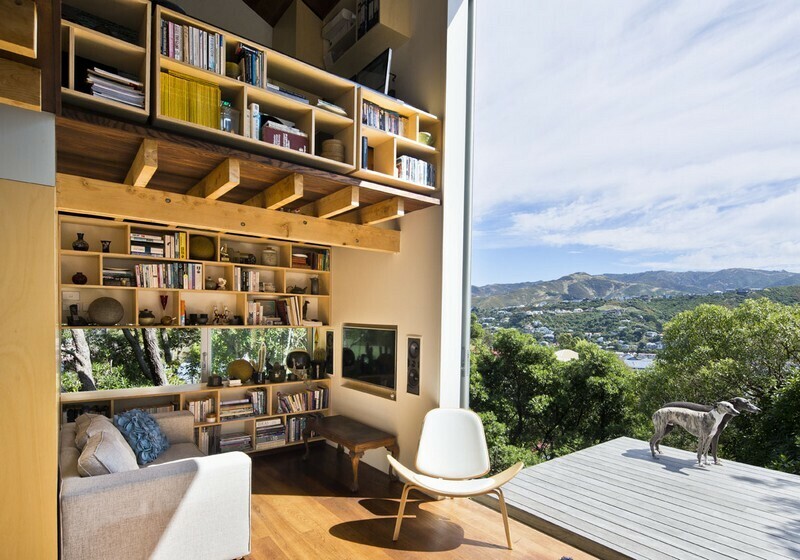 The Island Bay House may seem like a boxy and cold metal-clad abode from the outside, but its interior hides an entirely different view. 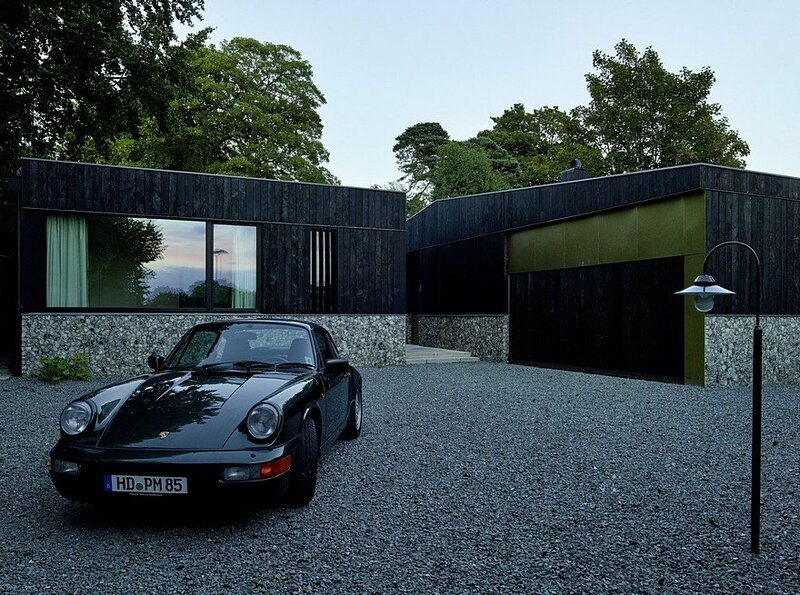 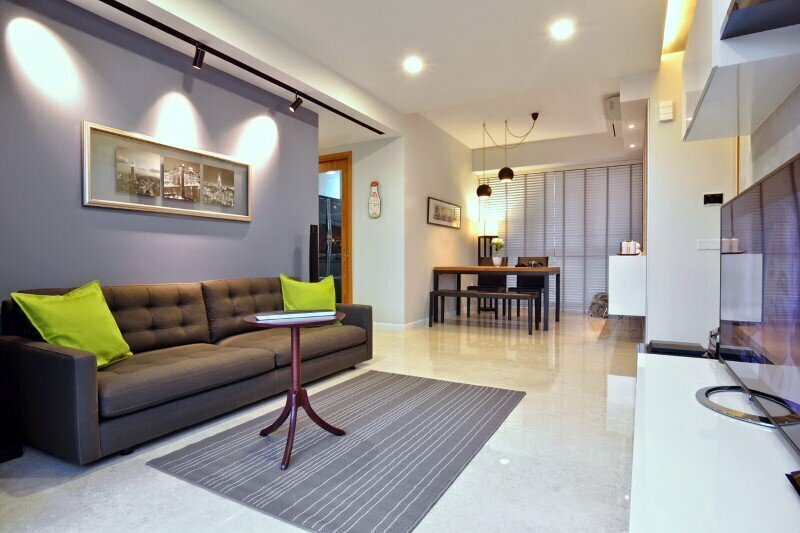 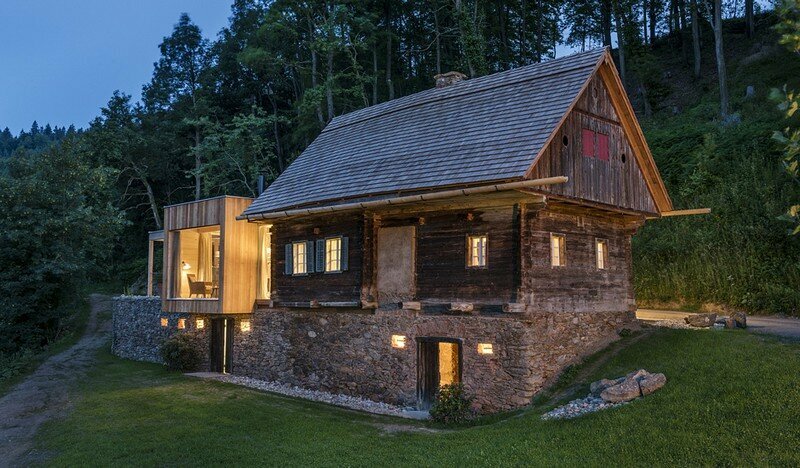 The exterior impression of the house is one of simplicity, both in materials and form. 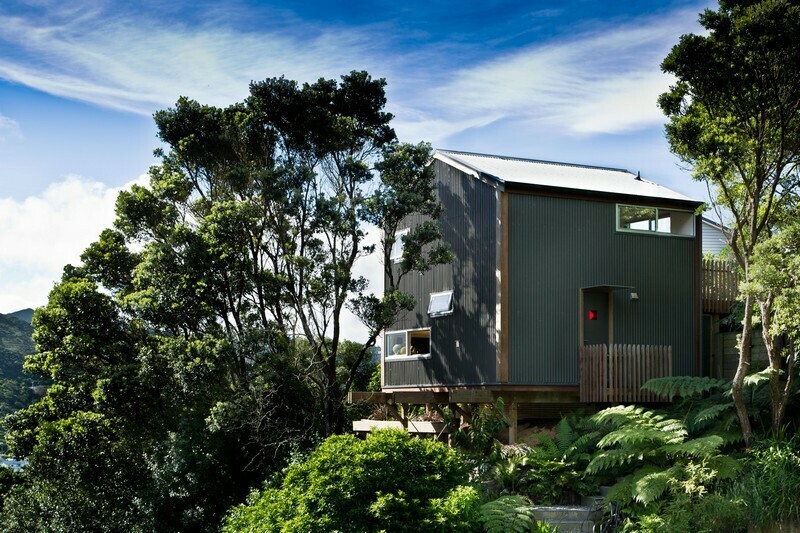 It’s a simple gable-roof structure clad with inexpensive corrugated metal. 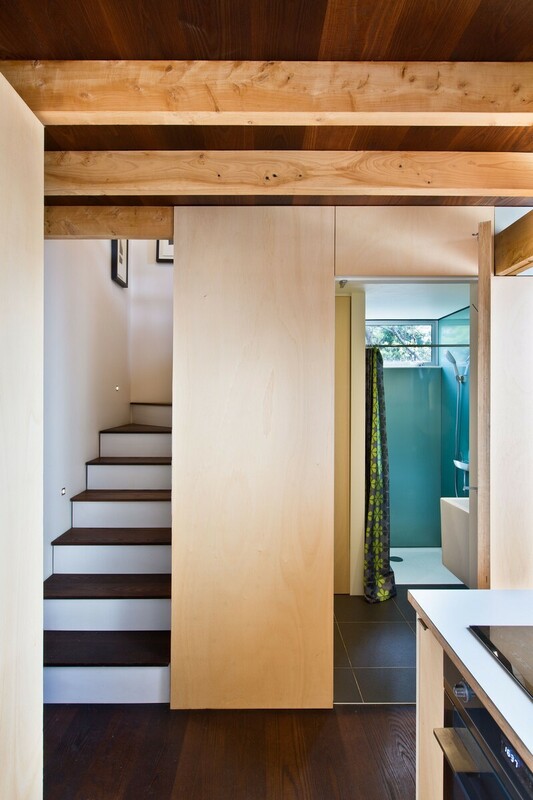 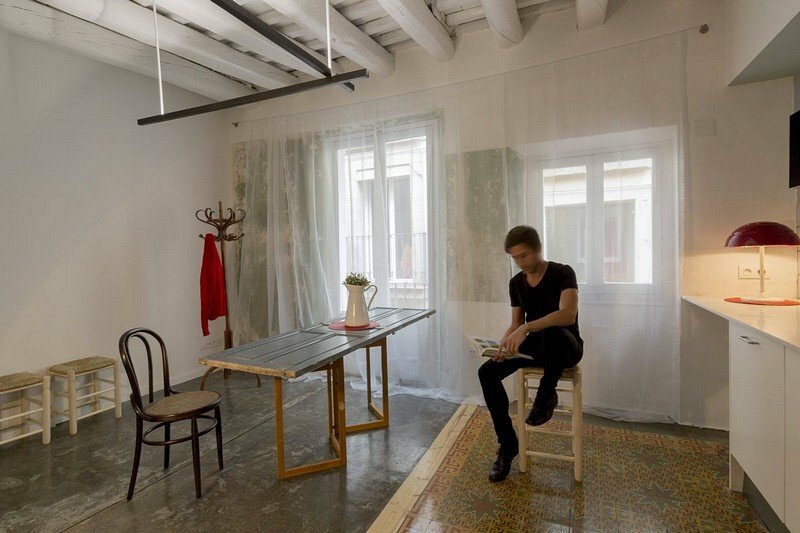 The 538 square foot (50 square meters) house attempts to address their desires for a more experimental way of living. 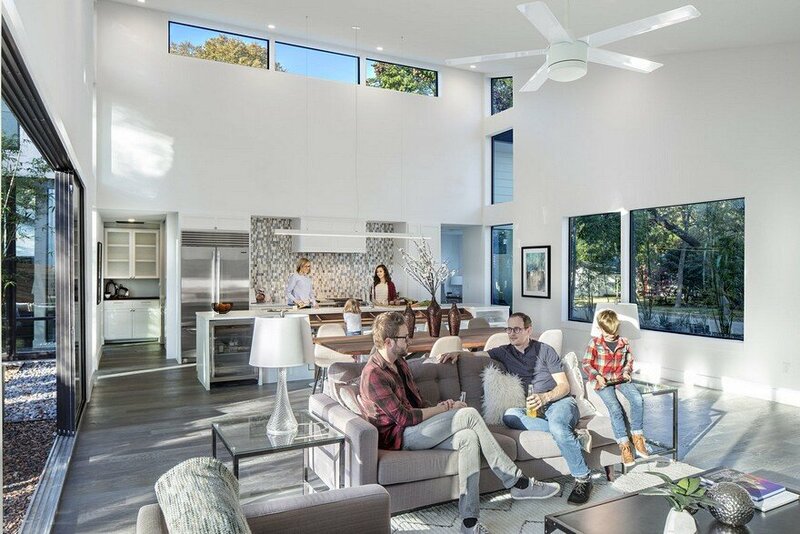 It’s oriented to take advantage of afternoon sun through floor-to-ceiling windows and doors, and features enough insulation to act as a passive house – a dwelling that doesn’t require and active heating system to maintain a comfortable interior temperature.